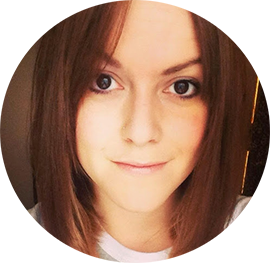 Get frustrated when your hair doesn't hold a curl? Marvel at a salon blow dry and how it tames your unruly hair? It's all about bonds. Not the James version. There are three main side bonds that are encouraged to break and reform using moisture, heat and chemicals. The two physical side bonds (salt and hydrogen) can be broken and reformed using moisture and heat. So when you are curling or straightening hair - this is the what will happen to your hairs structure to achieve the style you want. Leaving the hair to cool means the bonds will harden, enabling a longer lasting style. The other side bond (disulfide) requires a chemical reaction to break and reform. This is the strongest of the three side bonds. Image from my college workbooks - which I still read! When in it's natural state, with bonds having not been altered, it is referred to as alpha-keratin. When those bonds are broken and reformed into a new, unnatural form, they are beta-keratin. Sounds painful doesn't it! But even going out in humid weather will alter the bonds in your hair. If you have a moment, please go vote for me. 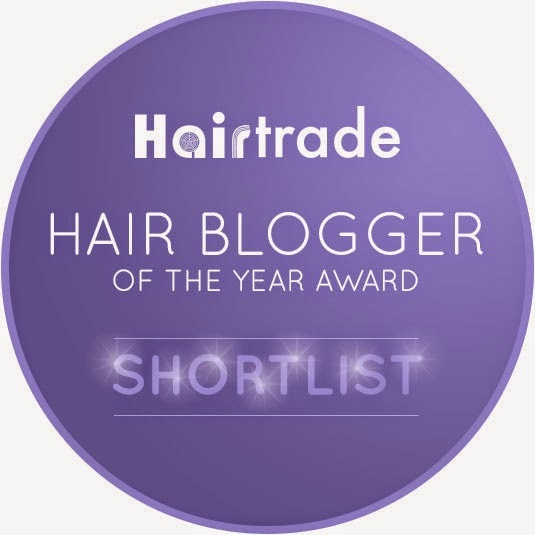 I'm nominated for Hairtrade Hair Blogger of the Year. You can win a goodie bag worth £100 just for voting so it's a win, win. Hopefully! I loved this post! It's so interesting to hear about haircare in a more scientific way, as it seems there is so much pseudo science in the way of haircare these days.